>> This election cycle, no fiction writer in the world could predict this storyline we’re all living. Deleted emails, Tic Tacs, and the word “rigged” make fiction look so much more reasonable. But there’s one woman who has written a story that we can all get behind, and it all started with her looking for a book to teach her daughter about how women can lead and even aspire to the country’s highest office. “I went to the internet looking for books for her, knowing that just her mom saying that you can do this would not be enough for the long haul and I didn’t find what I was looking for, and I decided there needed to be more books encouraging kids to run for office,” said Mary Swann Parry. Mary Swann Parry is our Woman To Watch this Monday. For the last month, she’s been canvassing the state with her book – “ >>Sadie McGrady Runs for President ”. The book, written for young children, offers language of empowerment, and a sprinkling of civics education. I purchased the book for my two daughters, and since then have heard lots of talk about when they will run for president of the United States and what their platform might look like. It’s caught the attention of the League of Women Voters as a great way to engage young people, and Parry recently traveled to Chicago to speak with children there. “They start learning about the government as early as third grade and how it works and I think it would be terrific to have more of these conversations when they’re little and when they’re having these goals,” she shared with me. Parry says conversations like that and characters like Sadie McGrady were missing from her childhood, and she tripped up into the world of politics and engagement as a young woman. 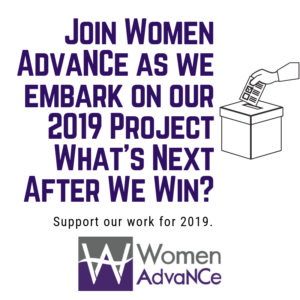 She held positions for statewide and national campaigns, and served as an advocacy director for an organization working to engage more women in the political process. 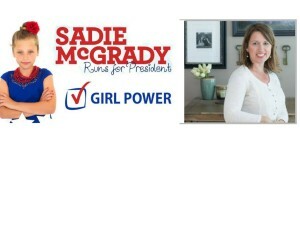 Now she hopes Sadie’s story inspires children to aspire to public office. She even has >>lesson plans for teachers on her site. Parry believes that’s how the country’s elected officials will eventually be a more accurate reflection of the populace. 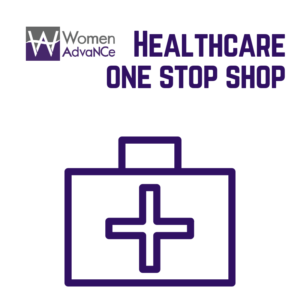 >>Women make up 19-percent of the members of Congress, 25-percent of state legislators, and 12-percent of governors , yet we’re more than half of the population. “You’re teaching them what foods to eat and to get enough exercise, and you’re listening to them, what they might want to be when they grow up, but we’re not really in all households, talking about civic engagement and how you, not just make sure you’re a voter and a regular voter when you grow up, but here are the different ways you can engage in the process,” said Parry. >>A recent article in the New York Times highlighted the issues that often face women as they consider running for public office. I recommend reading the article in full, but in a nutshell, the piece points out that women are less likely to be encouraged by parents or teachers and many assume it’s not something they can achieve. There are groups such as Lillian’s List here in North Carolina that work to recruit, train and support women to run for public office, but Parry wants Sadie McGrady to plant the seed of civic engagement much earlier. Parry’s daughter is now actively working on a campaign as a high schooler, so you can’t help but wonder when her name may be on the ballot, or how many like her will aspire to do the same.